The Committee received a briefing from the Minister of Home Affairs and the Director-General on the reasons the Department of Home Affairs (DHA) delayed informing the Committee to initiate a Committee Bill to amend the Immigration Act in compliance with a Constitutional Court order. The Department said that they had brought the matter to the attention of the committee in November 2017. DHA had complied with the Constitutional Court and had reported after 60 days to the Court as to what steps had been taken. What they still needed to do is amend the Immigration Act but it had prepared a draft Bill. The Committee agreed to follow the necessary parliamentary procedures for proposing legislation and adopted a resolution to the National Assembly to seek permission to amend the Immigration Act. Members briefly debated who was to blame for the legislation which detained people without trial. Members suggested that everyone should take responsibility, it was not merely the fault of Department but Parliament should also shoulder responsibility for passing the law which was implemented by DHA. On the privatisation of a section of OR Tambo International Airport for a private company, Fireblade Aviation, to run a private customs and immigration services at OR Tambo, the Minister highlighted concerns about the lack of adherence to the Public Finance Management Act (PFMA) and private ownership of international terminals. There is no policy on the privatisation of airports and in the absence of such a policy, no approval of this decision was formally granted. The implications of the court decision had set a precedent as DHA now has two applications for private family terminals, from Christo Wiese for the Cape Town International Airport and Whitey Basson for the George airport. The Department would approach the Constitutional Court to review and appeal this ruling. Members were vocal about the elitist nature of the Fireblade Aviation request to run a private operation that will benefit an elite few and exclude the large majority. Members expressed concern that national key points are being undermined. Members committed to visiting OR Tambo International Airport. 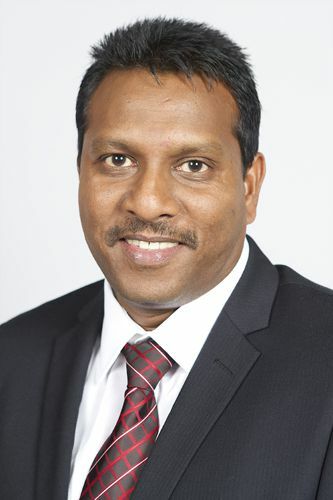 An opposition MP noted disappointment that the Minister has not addressed satisfactorily the judge’s opinion that the Minister “deliberately told untruths under oath" and had violated the Constitution. The extent of the litigation costs was requested as a written response. Mr D Gumede (ANC), Acting Chairperson, welcomed Minister of Home Affairs Malusi Gigaba, Mr Mkuseli Apleni, DHA Director-General, and Mr Thulani Mavuso, Deputy Director-General: Institutional Planning and Support. Minister Gigaba noted that Deputy Minister Fatima Chohan was unable to attend due to illness. Mr Mkuseli Apleni, DHA Director-General said that from his understanding, this matter was brought to the attention of the Committee on 7 November 2017 and he presented a report on this matter. There was a period when he was not around but in his view the Committee is aware of this matter. The Chairperson stated that he would check whether the Committee Secretary had it on record. Mr M Hoosen (DA) stated that the question was not that it was not brought to Members’ attention, rather it was why it took so long for DHA to initiate a response. The judgement was made in June 2017 yet DHA sent a letter to the Committee to initiate the process only recently. What has DHA been doing for one year? The Acting Chairperson thanked Mr Hoosen for his clarification. 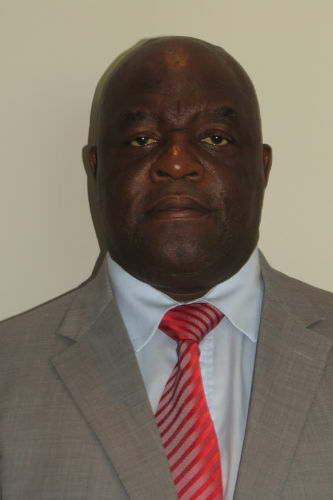 Mr H Chauke (ANC) suggested that rather than getting into details of the past, what the Committee needs to do is look at the timeline that Parliament has so if they do decide to take the route of a Committee Bill they need to investigate whether they will be able to process the Bill within Parliament’s timeline. Also the Committee needs to deal with the details of that amendment because he is doubtful that Members have gone through those details and grasped how large the workload could be. It might be a small amendment and the Committee would be capable of executing it. He advised the Committee to work with Legal Services to make this determination, along with looking at the programme of Parliament to find out if the Committee can take on this responsibility. At the end of the day, even if it is a responsibility taken on by DHA, it still needs to be passed through Parliament. The Committee must ensure that DHA meets the court order and that all parties abide by the court order. The Committee cannot be instructed to amend the Bill, things do not work like that. He understands that perhaps the Minister was advised to instruct the Committee to amend the Bill as indicated in the letter he wrote to them, but the Committee cannot be instructed by anyone. The responsibility belongs to DHA. He suggested Members look at the volume of the work that needs to be done to amend the Bill, and based on that, they can agree on how to move forward. The Acting Chairperson invited the parliamentary legal adviser to assist in clarifying the due processes. Ms Daksha Kassan, Parliamentary Legal Adviser, stated that should the Committee decide to proceed with a Committee Bill, the first step is to seek permission from the House by tabling a memorandum in the House to proceed with the Bill. Once the permission is given, the Committee needs to put a draft together in consultation with DHA . At this point, she does not find it to be a huge amendment because the court judgment concentrated on two sections. She and DHA would be responsible for the drafting should they decide to go ahead with the Committee Bill. Once a draft is put together, they would need to publish it for at least three weeks to get public comment. Once public comment is received, the Committee can decide if they want to have public hearings based on the types of comments they receive from the public. Should it be a Committee Bill, she proposed for the Committee to put a draft together before the recess of 15 June 2018. While Parliament is in recess, the public can comment. Upon Members’ return from recess, they will be able to consider the public submissions. Ms H Mkhaliphi (EFF) stated that Parliament is concerned about all the bills because committees are behind. A decision had been taken that during the extended recess of 18 June 2018 to August 2018, those committees that have Bills to attend to must work during the recess period. This discussion was provoked by the letter signed by the Minister of Home Affairs this Committee was in the dark because they did not know whether there was any progress by DHA on the amendments. She asked if DHA had prepared any draft for the Committee. The Committee would need to agree on how many days were needed to dedicate to this. Mr Apleni replied that there is a lot that had been done. DHA has complied with the Constitutional Court - after 60 days they had to report to the Court on what steps had been taken. That has been implemented even though the Act has not been yet amended. The drafting has been done, DHA has been working. What needs to be done now is to follow the recommended steps that the draft has to come to Parliament. Mr Chauke said that if the draft that has been prepared then the Committee would have to follow the parliamentary processes. In future, this matter should not be handled in this manner where the Committee jumps and says they will make a Bill; it should start with the Department which has the capacity. The Committee should not be doing the work for the accounting officer. The Committee needs to consult with the Chief Whip about legislation. Ms Mkhaliphi suggested the way forward was to align the Committee programme because as they will need to amend the programme to deal with this matter. As a Committee they are in the dark about the amendment and they are going on recess in June. They will need to agree on whether they will work on the matter during the recess. This is an important matter because they do not want to be seen as a Committee that does not respect the Constitutional Court. The Acting Chairperson stated that Parliament Legal Services had prepared a memorandum where aspects of the Bill were clarified. There had been uncertainty and so Parliament did start preparing for both eventualities. The memorandum has just been submitted to the Committee today and it will be briefed on it. If the Committee does adopt the memorandum, then the Bill will be tabled before Parliament. Mr Hoosen said he was not opposed to the proposal by the Acting Chairperson but wanted to remind him that there were other matters raised and the Minister and the DG were not present at the last meeting to respond to those. The view that was expressed by himself and possibly others was that the judgement itself was an embarrassment to DHA and the government. DHA was detaining people without trial for several years and the Minister himself should have made a statement about this. He wished to invite the Minister to make a statement about that. The judgement itself is regrettable in that the country was detaining people without trial. Another matter he was concerned about was the cost of all of this litigation. What was the total cost of the whole saga? It has been to the High Court and the Constitutional Court, not to mention the appeals. The DG said DHA complied with clause five of the Constitutional Court judgment. He asked to what extent DHA has complied with the Constitutional Court order. Mr Chauke said that the responsibility for that legislation rests with the Committee; it is the Immigration Act of Parliament not the Immigration Act of the Department. The Department implements what Parliament has resolved as a law. Once the Bill is tabled in Parliament after the Department sends the draft Bill, then the Committee will engage with public hearings. The responsibility of the Department ends when the Bill is introduced into Parliament. They cannot put the blame on any individual, as the Committee processed the Bill and all parties involved did not look at the constitutional requirements of detention. It was the Committee’s responsibility and the responsibility of Parliament to ensure that all laws that are passed meet constitutional requirements. He suggested that Members should rather look at what DHA has done since the court judgement and leave out who is to blame. If someone has to take the blame, everyone is to blame and more so Parliament because the Department merely implements laws passed by Parliament. It is an embarrassment for everyone. As a process of a developing country, this Immigration Act is one of the best immigration laws in the world. He was part of the initial process when immigration law was created in the country after 1994. Challenges will present themselves now and then; individuals cannot be called out to account. They should not be hard on each other but rather focus on the light which would be the Immigration Act. Ms Raphuti agreed that no one should be blamed. This matter shows that the Constitution is indeed working and it protects everyone irrespective of whether one is a foreign national or not. The Constitution should be applauded; they should rather not point fingers and move forward. The Acting Chairperson summarised the comments made by Members: Ms Mkhaliphi said the programme needs to be amended; Mr Hoosen has requested the litigation costs, perhaps a response in writing from the Department to the Committee would suffice. He asked if that would satisfy Mr Hoosen. Mr Hoosen replied that it did not satisfy him. He requested DHA respond and the Acting Chairperson should not respond on their behalf. With great respect to the Acting Chairperson, it is not his job to respond. The Acting Chairperson stated that those were not his intentions and invited DHA to respond. Mr Apleni replied that he could not cite the exact costs of the cases off the top of his head. Mr Chauke requested a timeline for the written response on litigation costs. It is important to know the costs so that Members are satisfied that the money is being well spent. Ms Raphuti stated that somewhere somehow people are taking advantage. There is so much that South Africa is doing for foreign nationals. What Mr Hoosen is asking is immaterial; the Committee should look at the Bill and close the gaps. The Acting Chairperson said that no matter how heated people feel, they should focus on the light. Mr Hoosen stated that he wanted the Committee to make progress but he also does not want the matter to be left unresolved which often happens in the Committee. On the point he had made on the violation of rights of the individuals, he accepted the point made by Mr Chauke that Parliament makes the laws. It is not about passing the blame but the fact remains that the Minister is seen as the political head. If it requires Members of Parliament to make an apology, then they must do so. However, the reason the Minister was invited is because he is the head of Home Affairs and thousands of people had their constitutional rights violated. Spare a moment for those who were detained without trial. As Members of Parliament they cannot overlook that and just move on. None of them has had the courage to say “this was wrong, we are sorry about the way in which the law was passed and implemented and the way in which people’s rights were violated”. He is inviting the Minister to say something on it so that they can move beyond this point. If they do not recognise their own weaknesses as a parliament and as an executive, it would be wrong. They cannot just read the judgment and move on; a statement needs to be made. It is up to the Minister. If he does not want to say anything, then fine. It is not about appointing blame; it is about providing the proper leadership and taking ownership. Ms T Kenye (ANC) said that the legal advice was given on what they should do as Parliament. She did not understand why one individual must make a statement. If one person is expected to make a statement then it is inflicting blame on the person. It is not fair for Mr Hoosen to insist that the Minister make a statement. The Acting Chairperson stated that he does not want to have a political scenario – that is what the House is for. They are supposed to focus on the nitty gritty of the law. Ms Mkhaliphi said that when the meeting started, all Members were united in saying that they should chart a way forward. That does not mean that the Minister should not say anything, even the court judgement cited him. It is not correct that when a politician is here, he is being defended by the ANC Members. There is no harm in the Minister saying something. He is not a sangoma, he is a Minister and he is capable of talking for himself. The Acting Chairperson should not protect the Minister; the Minister must do his job. The Acting Chairperson stated that he was not protecting the Minister and invited him to respond. Minister Gigaba remarked that as a matter of principle, DHA deals with a lot of litigation and they do not go out of their way to prompt that litigation. It arises in the cause of implementing the Act and the laws passed by Parliament. The laws that DHA administered after being passed by the National Assembly (NA) and the National Council of Provinces (NCOP) were subjected to the constitutionality test to establish they were constitutional. But in administering those laws, people may take exception to one aspect and test the law in court such as in this case right up to the Constitutional Court. It was not a malicious intention by DHA nor Parliament to violate the Constitution. It cannot be that a Minister, a department or even Parliament is accused of having violated the constitution. Even the judgement says that this aspect of the law violates the constitutional right of individuals. It does not say that Parliament in passing the law was violating deliberately and maliciously the constitutional rights of individuals. Only after the judgement was made, the violation of constitutional rights was made clear and therefore it becomes difficult to say who in particular must shoulder the responsibility of such violation. In addition, what are the implications of such a ruling by the Constitutional Court? If one issues an apology, then they are actually inviting the people affected to sue and seek relief. Who is going to bear that responsibility and where is that money going to come from? They need to be very cautious because this is not the only matter that DHA is dealing with. DHA has to be consistent in how they respond to court decisions. How they have been responded in the past has been sufficient. Admitting that they will have to amend the legislation and comply with the judgment is acknowledgement enough from DHA and that provides sufficient relief. The Acting Chairperson reminded Members of the agenda which was a briefing by the Minister of Home Affairs and the Director-General on the reasons DHA delayed informing the Portfolio Committee to initiate a Committee Bill and on what DHA has done since the court order. If there were other questions, Members would have to bring them up at another meeting. Mr Chauke, in response to the other Members’ comments, stated that it is never in the ANC’s interest to protect the Minister. Everyone is accountable to Parliament and Parliament has the right to do oversight. They should move forward and work together as the Committee and act in the best interest of the public. From the ANC‘s side, they will work with everyone and do their oversight without fear and without favour. Ms Mkhaliphi said it was very progressive for the Minister to respond. It would be a mistake if the Minister had left without responding to the matter. She is thankful to the Minister for responding; everyone is now clear on the Minister’s standpoint. She is happy to hear that Mr Chauke said that no one is protecting anyone. The Acting Chairperson invited Ms Kassan to summarise the memorandum of the legislative proposal. Ms Daksha Kassan, Parliamentary Legal Advisor, stated that it is a draft and as Members only received the document that day, further comments can be made. The documents have been prepared to (a) set out the particulars of the legislation, (b) provide the objects and background of the legislation, (c) set out the financial implications for the state and (d) set out the views of the executive on the objects of the proposed legislation. The first paragraph of the document states that the Portfolio Committee on Home Affairs is seeking the permission of the House in terms of the rules 273(1) for the introduction of the Immigration Amendment Bill 2018. The next paragraph sets out the particulars of the Bill which is to amend the Immigration Act, 2002, so as to align and revise section 34 of the Immigration Act on the detention of illegal foreigners with the constitutional rights set out in sections 12(1) and 35(2)(d) of the Constitution. Paragraph 2.1 sets out the main findings of the judgement. Paragraph 2.2 notes that the declaration of the invalidity was suspended for 24 months to enable Parliament to correct the defect in section 34(1)(b) and (d) of the Immigration Act. Paragraph 2.3 explains the Amendment Bill amends section 34(1)(b) and (d) to ensure that any illegal foreigner detained under section 34 of the Immigration Act is brought before a court in person within 48 hours from the time of arrest or not later than the first court day after the expiry of the 48 hours if the 48 hours expired outside ordinary court days. Paragraph 3 looks at the costs of the Bill. Ms Kassan has discussed this with DHA officials who indicated to her that DHA is already implementing the court order and hence the proposed Bill will not lead to any additional expenditure for the state. Finally, it states that the executive supports the proposed legislation. Ms Mkhaliphi stated that she is happy with the memorandum. If Members have comments they should send them to the Committee Secretary. The programme needs to align with the processes mentioned by the legal adviser. The Committee needs to know if they have to work during the recess. The Acting Chairperson stated that Members had 24 to 48 hours to respond to the Committee Secretary about the memorandum if there was a need to respond. Mr Chauke said that the memorandum gives Members a guide to the parliamentary processes and stakeholders involved. The Committee should just agree to the memorandum and adopt it. The Committee adopted the memorandum. Mr Apleni added that the departments involved in section 34 are the National Prosecuting Authority (NPA) and the Departments of Justice (DOJ), Police and Correctional Services. 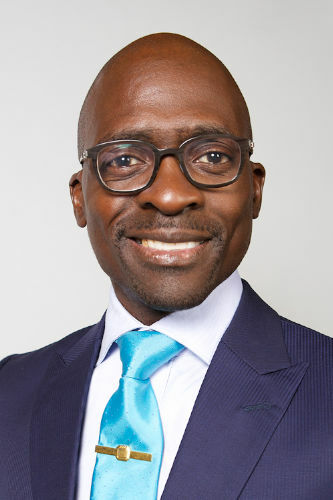 Minister Gigaba said that around 2013 they received a request from the Fireblade fixed base operations (FBO) terminal to allow them to use the terminal as an international terminal for VIPs. Up until then, they had been operating this terminal at a Denel facility. Fireblade is located at a Denel facility which was leased out by Denel to Fireblade as a domestic terminal for a particular family [Oppenheimers]. They then submitted a request to operate it as a VIP terminal for international flights. In 2014 DHA responded saying it has written letters to all the relevant ministers of departments working in the port environment to seek their opinion because they could not take a decision without other ministers concurring. DHA received responses from the Minister of Agriculture concurring, the Minister of State Security declined, the Minister of Finance declined, SARS declined and others did not respond. Fireblade was seeking a response on a regular basis from DHA and so DHA met with them. DHA communicated to them that they are still awaiting other ministerial responses before giving a final response. Subsequent to that, Denel went to court with Fireblade, prohibiting the use of Denel facilities for such purposes. Denel won the case in court which put a spanner in the works. Nonetheless, DHA wrote a second letter to the ministers advising them to respond in order to settle the matter. At that point, the Minister of Finance wrote back saying that he was rescinding his earlier response of declining and was now concurring with the provision. Fireblade would be charged for making available customs and other government services provided at the facility. In January 2017 DHA received a letter from then acting Denel CEO advising that Denel concurred with the use of Fireblade as a VIP terminal. Therefore DHA thought it cleared the way for a positive decision on this. After this letter, DHA met with the company and advised them that they had received such a letter from the Minister of Finance but that as much as this was positive indication, there were certain principles which DHA felt still needed to be addressed. One of the principles was that the facilities should be available to anybody who wishes to land their private aircraft. The Minister told the company that the Finance Minister’s response did not qualify as a final answer because they still needed to await all ministerial responses. He said he would ask the DHA Director General to seek meetings with his relevant counterparts to advise their ministers to respond. A few days later, DHA received a strongly worded letter from the Denel Acting Board Chairperson advising that the Denel Acting CEO had acted outside of his mandate. The Denel Board was rescinding the letter sent by the Acting CEO and they were going to subject him to a disciplinary process. The Minister immediately informed both the company and the Director General and told them that everything should be put on hold. Given that the facility was a Denel facility, he advised Fireblade that in this case where Denel as the landlord is saying no, it would be difficult for DHA to send immigration officers because they would trespassing on property that did not belong to DHA . Court processes ensued. The submission now was for a private terminal for the family which changed everything they had understood until then. Before they thought it would be a VIP terminal that would be open to anyone who wished to land there via a private jet. Much like Lanseria, which is a private terminal, other airlines can still land there such as Mango, British Airways and SA Airlink. DHA thought it would be operated along the same principle. Unfortunately, from the court papers, it was seen that this was a private terminal for the family. DHA indicated in its submission that immigration law does not permit this. It clarified that DHA could not allow private terminal for a private family because it would advantage them over everybody else in the country who had to use OR Tambo facilities. The DHA court papers indicated that they are not in a position to authorise a private airport because, amongst others, Cabinet is still dealing with rationalising the number of international airports the country has. For example, Upington is an international airport only during the hunting season and then DHA has to provide immigration officers for that period. DHA needs to ration the immigration officers it has to increase its capacity, as already in 2017 OR Tambo was under-capacitated. The matter served before the High Court and the Supreme Court of Appeal and the court decision was in favour of the applicant. The DHA argument in both courts was that they had not been listened to in terms of the merits of their argument. The Minister had left the Department at the time that the judgments and appeals were made up until his recent return to Home Affairs in March 2018. When the Supreme Court made its judgement in October 2017, Fireblade submitted a supplementary application to be allowed to operate while pending a decision by DHA to appeal, which was granted. It was granted on condition that they pay for the immigration services. That has subsequently been done with the added twist that only the immigration services are being paid for and all the other government services are being provided to a private family for free. These include customs, agriculture and health services that have to be provided for at a port of entry. There is no policy on the privatisation of airports. In the absence of such a policy, DHA cannot invent one. There has to be a proper discussion in government as whether that is the direction they would like to take. The implications of this decision is that DHA now has another two applications for a private terminal - for a private family at the Cape Town International Airport and another application for a private family terminal in George. The court decision means those two applications must be granted as a precedent has been set. It means that those that can pay can decide for themselves about access to a national key point. If DHA does not grant permission, then they will take DHA to court. The problem is what happens if two or more families want to use the same facility, there was no competitive bidding in this case. DHA has decided that they will appeal to the Constitutional Court to establish the constitutionality and legality of this issue. This gives DHA an opportunity to test if the principles of equality are being applied properly, if the legislative framework is complied with as well as the constitutional implication of throwing the Public Finance Management Act (PFMA) into the fire. Members will pay attention to an expression in the High Court judgement stating that the Minister had lied. In legal procedure, that is an opinion of the judge and not a ruling. What matters is the actual ruling which is the matter that DHA is appealing because DHA does not want to personalise this. If the Minister had granted permission, the Minister would have followed legal prescripts until the end. In the absence of such legal prescripts, DHA stands with the belief that no approval of this decision was formally granted and the matter is really irrelevant. This is a matter of principle about whether the poor are entitled to good quality service only after the rich have received them. The Fireblade matter is about whether the laws of the country can be disregarded where the rich are concerned and whether government should provide free services to the rich when the poor sometimes have to pay for them and whether they are introducing the principle of privatisation to ports of entry in the absence of policy. Mr Hoosen thanked the Minister for the explanation. Although the Minister has made a number of statements which are bordering on political arguments, this matter is indeed a legal argument. Much of what he has said has already been dismissed by two courts. In fact, much of what he said is in contradiction of the two judgements. He is disappointed that the Minister has not addressed satisfactorily the point made by the judge who said ““deliberately told untruths under oath on facts that were central to the case, the Minister has committed a breach of the Constitution so serious that I would characterise it as a violation”. Mr Hoosen said he is disappointed that the Minister has chosen to dismiss that part. The fact that a judge expresses an opinion on this matter does not mean it should be disregarded. He advised the Minister to take the matter more seriously. The country is going to see massive litigation costs because this matter has been dragging on for a number of years. He found it very difficult to believe the Minister’s version of events because according to the court papers, he met with Fireblade on a number of occasions and he even suggested that former President Zuma must officially open this facility. The comments made by the Minister are completely contradictory to both judgements, unless the judges are lying. The elephant in the room is the suspicion that something happened between 28 January 2016 - when the Minister met with the directors of the Fireblade company and instructed Director General Jackie McKay to initiate an in principle agreement - and around 5 February 2016. The suspicion is that the Minister’s relationship with the Gupta family has something to do with it. It is his suspicion too. Although there was an arrangement with Fireblade for a number of years of investigating the possibility of having this operation at OR Tambo, at some point an opportunity was seen to benefit a different family. Whether or not that is true, Minister Gigaba will have to clarify that. He directly asked the Minister if he had any decisions with the Guptas around the Fireblade matter. Noting that the Denel CEO had operated outside of his mandate, he asked if any charges brought against him and what has been the outcome of his actions. He asked who the applicants are in the two further applications for Cape Town and George. Ms Kenye stated that Minister Gigaba mentioned that some of the ministers did not respond. What has he done to convince them? Seeing that the landlord, Denel, said no to the matter, she asked how operations are being carried out. If immigration law does not permit this, what are the implications for customs services? Ms Raphuti stated that in her view, it cannot be that one family is benefitting here in South Africa. It is totally unfair. She suggested that they wait for the Constitutional Court judgement and fairness should prevail. The Acting Chairperson said he is sure the courts will not allow private ownership. He believes in the courts. Ms N Mnisi (ANC) asked the Minister for clarity on whether DHA had appealed the matter. Can they not wait for the court processes to unfold then from there, the Committee can act. Mr Chauke expressed concern that national key points are gradually being undermined. This was previously done when there was the Sun City wedding. That was a serious concern. The Minister mentioned there are new applicants that they have to deal with. The state is going to end up not running the country. Those who have the means will end up having full control of this democracy. He echoed what the Minister said that they need to look at legislation. There is no contract between DHA and this family at this point. The Committee has to find time to study this judgement. This matter has to be referred to Parliament Legal Services and studied properly. The Committee has to find a way so that this is not allowed, it cannot be an attitude that “because I have the means, my family has privileges over 50 million South Africans”. He suggested that the Committee hold a debate on this matter. We cannot be a democracy that benefits the rich. This Committee is the custodian of immigration legislation. The Committee should discuss this in the next meeting with Legal Services. It undermines everything that they have fought for and it undermines the security of the state. The Committee needs to take an interest and visit the terminal and see exactly what is happening. They cannot just complain and legislate without even knowing what is happening practically on the ground. The public interest must always be protected at all costs. Ms Mkhaliphi agreed with Mr Chauke. She asked for clarity on the March 2018 dates for the Supreme Court of Appeal judgement and the Constitutional Court appeal. Initially when the matter started in 2013, it seemed that the Minister made it clear that other ministers needed to be consulted. On 28 January 2016 it seemed that the Minister approved it. If the Minister was clear from the beginning that there was no Act or policy that can permit this, why did he not tell the applicants this from the very beginning? He should have told the Oppenheimers that there is no law that can allow him to grant their wish. Why did the Minister raise expectations in the first place? There were minutes that were leaked internally and the Oppenheimers got hold of those minutes, which is why they won the case in court. They cannot allow people who have money to control the country. Mr M Kekana (ANC) said he had wanted to keep quiet but it was difficult not to say anything. Up to this point, DHA has lost two cases. He did not understand why DHA continued to appeal. He would advise the Committee to leave this matter because it is sub judice. If DHA loses the case, it will come with difficult circumstances to such an extent that other people must resign. His humble appeal is that Members should not further engage on the matter. They must just sit back, keep quiet and wait for the judgement. Politicians want to talk further but this is a legal matter. If one reads the judgment, and goes deeper, the Minister is implicated in this matter. The Acting Chairperson stated that there are two views, there is one view saying that there is an appeal, and the other view is that there was a judgement on 7 March 2018. He asked what the state of play is as things stood now. Mr Apleni replied that with respect to the court judgement, DHA approached the Supreme Court of Appeal (SCA) and simultaneously approached the Constitutional Court. The Constitutional Court said that whilst the matter is with the SCA, they do not have to deal with it so there was no judgment on the merits of the case. The 7 March ruling was around that issue. Ms Raphuti said whilst the Committee is still awaiting process, she agreed with Mr Chauke about a visit to see what is happening at OR Tambo. Ms Mkhaliphi supported the DHA appeal. She was concerned that the DHA lawyer took the matter to two different courts at the same time. What kind of a lawyer is that? They just want to scoop money, they were supposed to advice DHA properly. When Ayanda Dlodlo was Home Affairs Minister, the Economic Freedom Fighters (EFF) wrote a letter to her to appeal the matter. DHA must file with the Constitutional Court correctly and have a strong argument because the country cannot be run by the Oppenheimers. They cannot allow this family to practice the apartheid set-up because they accumulated their money during apartheid. It is a very serious matter and she urged Mr Kekana not to be demoralised. Ms Mnisi stated that it is important to understand what they are here as public representatives. It is important to do the right thing and act at the right time. It is better to physically go there to OR Tambo and do their oversight. Mr Kekana agreed with Ms Mnisi since the matter is in the public interest and DHA must do the honourable thing by appealing. He still stood by his earlier position about the matter being sub judice. He asked if DHA had already filed its appeal or is still thinking of appealing? Mr Apleni replied that Fireblade Aviation operations are carried out based on the court order. DHA is in the process of appealing the matter. Minister Gigaba stated that Members have expressed support for the approach that DHA is taking. They were clear from the onset that this would only work if it were accessible to all South Africans. But that was not an approval because an approval depends on all other ministers saying yes. If all ministers said yes then they would have to proceed to establish a policy and follow procedure. Nobody can infer approval on the basis on a leaked internal memo. Bribery must have taken place as the only way the Oppenheimers could get an internal memo was through bribery. It is not a political argument, it is a legal argument. The PFMA was adopted to guide transactions between the state and any private party and it was not followed in this regard. When they say there is no policy, it is not a political argument; it is a legal argument. Until there is a policy that guides, one cannot just decide because one has money, one will do this without policy being there. It is a legal argument. Issues of equality and fairness are political but legal too. On the so called “ minutes” used in the judgement, when two parties have a meeting, one party’s notes are not the same as the other party’s notes. One party’s notes do not constitute the official minutes of the overall meeting especially if they were not brought to the other party for approval. His signature is not attached to those minutes. Mr Chauke requested that Minister Gigaba not expose himself and his argument for the appeal. Minister Gigaba stated that he met the Fireblade officials on two occasions and spoke to them on the phone. He did not think it was wrong for him to keep them updated as to the processes that were unfolding. On what happened between 28 January and February, as he indicated earlier, he received a letter from the Acting Denel Board Chairperson opposing approval which changed everything. He was obliged to listen to the Board Chairperson over the CEO of Denel. He realised that there was a contradiction within Denel and took that as an indication that Denel did not concur. There was no discussion with the Gupta family – that is hearsay. He did not know about the outcome of the Denel disciplinary hearing and therefore could not comment on that. Further, it was not his duty to pursue that matter, it was a matter of Denel’s own internal processes. But from his understanding, the letter written by the Acting Denel Board Chairperson was never rescinded, so that letter still stands. Fireblade Aviation is now an international terminal. It started operating before the World Cup as a domestic terminal because in those times the airports were very full. On why DHA is appealing the matter when they have already lost two cases, the legal opinion DHA received is that there is always more than one legal opinion and they were advised to appeal. It has happened that a case has been appealed right up to the Constitutional Court and a decision was changed at that level. He expressed his appreciation for the overall support from the Committee to assist from a legislative and policy perspective. The Acting Chairperson thanked the Minister and the DG. The Committee shall try and visit the airports. As a Committee they are very concerned that some persons are trying to privatise national key points. State Security had declined the international terminal application which is an indication of how serious the matter is. SARS also declined as they are concerned that revenue collection could be adversely affected. He thanked the Members for a constructive and honest engagement. He noted that Mr Hoosen had asked who the applicants are who applied for George and Cape Town. Mr Apleni replied that they should not mention names. Mr Hoosen said that unless providing the names will affect the pending court case, the DG cannot just dismiss the question without an explanation. The Committee has the right to ask questions. Mr Apleni replied that they have to deal with case first and only then can they bring up this matter. Mr Hoosen said that it is not a matter that he introduced himself, it is a matter raised by DHA. The DG should say why he cannot answer. Mr Chauke noted that it was earlier proposed that the matter does not end here. Mr Hoosen’ question applies to what should be done with the current applications. What is the approach to those applications? Mr Apleni replied that they are not dealing with any applications. There is no policy for a private port of entry in South Africa. They are appealing this part. Mr Hoosen said that he does not understand the DHA secrecy – that is why they are in the situation they are in right now. DHA waits until the dirt comes out in the public. The Committee is the public’s representatives of the country. If someone has made an application and the DG’s response is that they will not deal with that application, then there is no need for any secrecy. If there is secrecy, then it makes Members think that there is something sinister happening. Ms Mkhaliphi did not understand why the DG was making things so difficult. If Mr Apleni is avoiding answering so as not to impact on the legal matter, then he could just say so. The Committee should be taken seriously and it starts with respect. This Committee is a fire extinguisher. It deals with matters when it is too late such as when there is a court judgement. Members should be respected, things need to be simplified and explained clearly. Minister Gigaba replied that the two applicants are Christo Wiese in Cape Town and Whitey Basson in George. Mr Hoosen commented that the DG earlier refused to answer that question saying it will affect the case. Then the Minister simply gave the answer.